All the world knows that Tuesday, November 4th, is the day the US elects a new president. Each new four-year cycle seems to bring to the forefront with increasing fervor the battle of wills as to the direction this country is taking. One can only pray that on November 5th we can still say, "United We Stand, Divided We Fall," no matter what the outcome tomorrow. 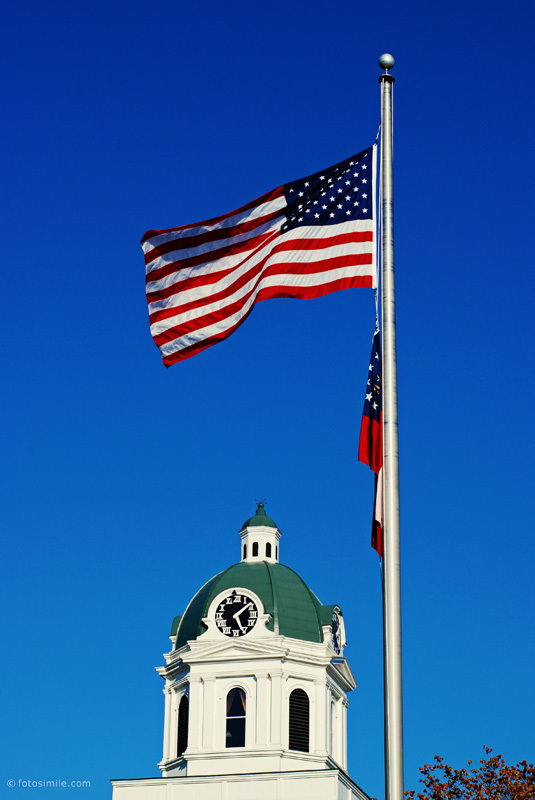 Taken in Toccoa, Georgia of the historic Stephens County courthouse.